New employees go through orientation. Why shouldn’t your new board members? Choosing good board members is critical to your chambers success. 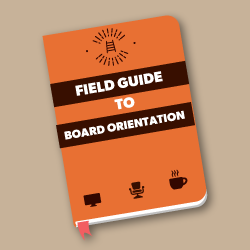 Make the most of your new resource by downloading your FREE copy of The Field Guide to Chamber Board Orientation. In it, you’ll discover foolproof ways to get new board members up to speed quickly and efficiently. Set up your board members for success; GET THE GUIDE NOW.